Experiencing Two Trains Running, a revival of August Wilson’s famous play, was like taking a step back in time. The play is set in 1969 in a working class, black neighborhood known as the Hill District in Pittsburgh. The action takes place entirely in an ordinary restaurant that serves home cooked food like corn bread, chicken, ribs and beans. The set by the way is fantastic; a beautifully rendered and believable restaurant replete with a real food, a phone booth, a Rock- Ola jukebox, yellow vinyl backed chairs, a blackboard menu and a front door that slams with a tinkling bell and a satisfying thump. 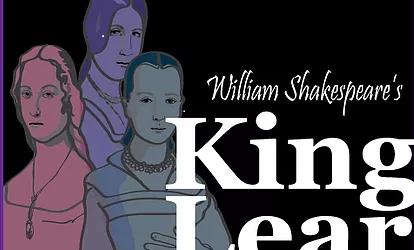 While not the most familiar play to roll off people’s tongues, Much Ado, once viewed will hold a special place in your – “Oh how I love Shakespeare” corner of your heart. 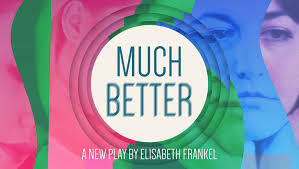 Much Ado is at once a comedy of errors, a love story, a near tragedy and a giant battle of gendered wits. You know you’re in for a comic treat of an opera when after an introductory serving of serious music, you’re greeted with the specter of a hapless prince being mauled by a dragon. The Magic Flute is a mash-up of genres- part fairy tale, part circus and part religious pageant flouting astronomy and ancient Egypt. Here spectacle reigns supreme. The opera is packed full of sensory overload, with treats for the eyes, ears and the mind too. Seattle Opera’s newest production of The Magic Flute just opened at McCaw Hall at the Seattle Center and will run till May 21st. Searing acting, tense and thought provoking lines and the powerful energies of fear and deep sadness. Frozen is an arresting play. Delving into outrightly difficult territory- exploring a serial killer and those affected by him, this play asks hard questions. The play asks us to explore the difference “between a crime of evil and a crime of illness.” We’re asked to grapple with the idea that people are perhaps not born evil but act evil due to circumstances beyond their control.